In three years as an under 23 rider Curtis White has charted a symmetrical climb to the top step of the cyclocross national championships podium. In 2014 as a newbie U23 he finished fourth, then third in 2015 followed by second in 2016. 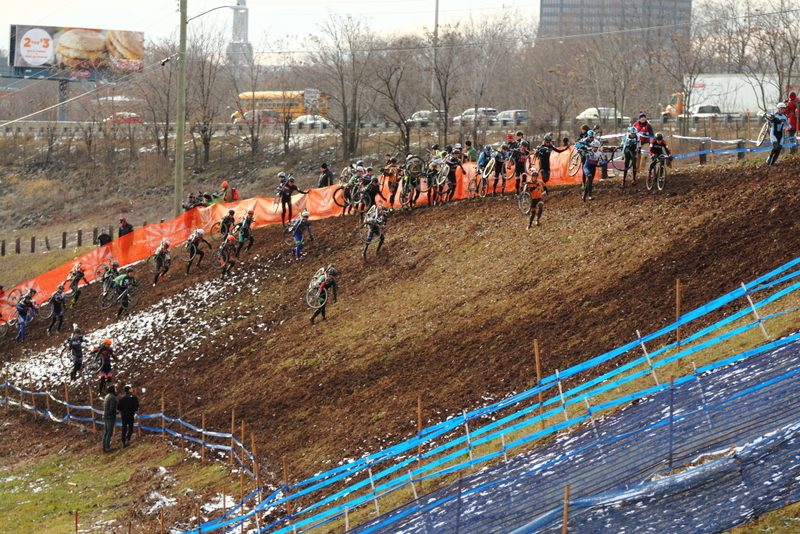 If he carries that trend to its logical conclusion on Sunday in Hartford, the Cannondale p/b Cyclocrossworld.com rider will at last go home with a cyclocross national champion’s jersey. The steady progress he’s realized since 2014 accelerated this past season. That giant step up consisted of eight domestic elite UCI C2 wins, his best collection of results in Europe and the U23 Pan American Continental Cyclocross Championship. Those performances leave him poised to take yet another leap, and it’s one he’s very hungry for. “I feel like I’m coming into this year’s national championships better than I ever have. “I’ve been working with my coach David Wenger for the past six years, and have relied on Frank McCormack the past couple years for ‘cross specific advice. Together, we’ve made a very formidable team,” White wrote. “I missed a few markers in the first month of the season, but we nailed the majority of the season both domestically and abroad. Those guys have helped me get to where I am. A posse-sized set of competitors with national titles or UCI wins in their pockets plans on doing the same. America’s recent crop of talented juniors has been aging into the U23 category as White has approached graduation from its ranks. 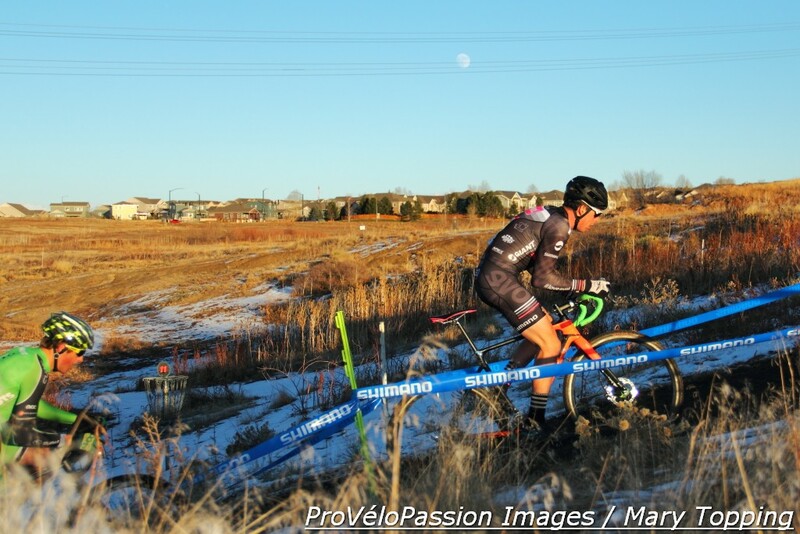 Among them are Maxx Chance (EVOL DevoElite Racing), Grant Ellwood (Boulder Cycle Sport / YogaGlow), Brannan Fix (Alpha Bicycle Company – Vista Subaru), Lance Haidet (Raleigh Clement) and White’s devo teammate Cooper Willsey. 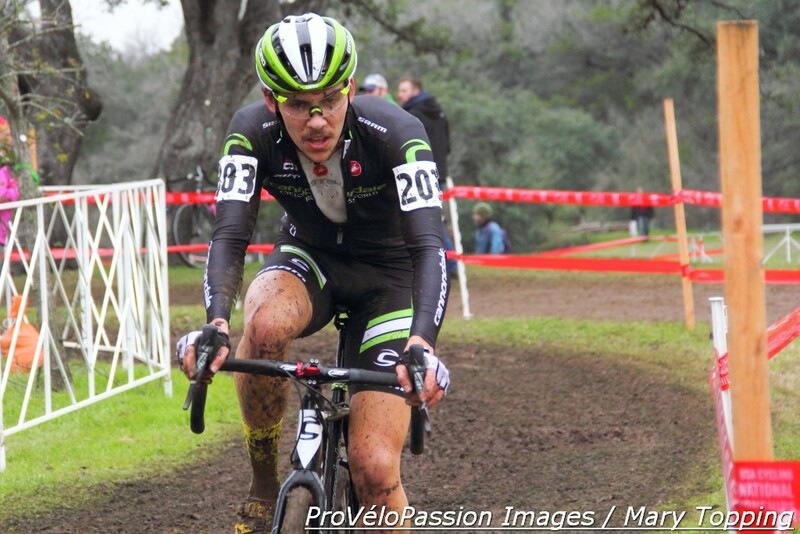 Spencer Petrov (Cyclocross Alliance), Gage Hecht (Alpha Bicycle Company – Vista Subaru) and Eric Brunner (EVOL DevoElite Racing) just turned U23. A frozen course under super cold temperatures, for example, should bring out the best in Hecht who’s been nailing hole shots in Europe. White’s younger rivals agree with his assessment of the circuit. ProVeloPassion asked them for their thoughts regarding how the race might play out and what it would take to get the better of the formidable White. “The frozen conditions should make for an interesting race,” Chance commented. “I think it will be a small group or a solo win on Sunday with such a hard track. “Everyone is riding super well right now and I think you have almost 10 guys who all have a very realistic possibility of winning this race. I think that I’ll have to be aggressive on laps one and two to make all the splits and be up near the front, but I feel like I have the added confidence of having won a race already on the course and hopefully added insight into what I need to do to have the best race I can.” Chance won the collegiate club men’s title earlier this week. These young men know they’ll have to pull off a flawless race to unseat White. 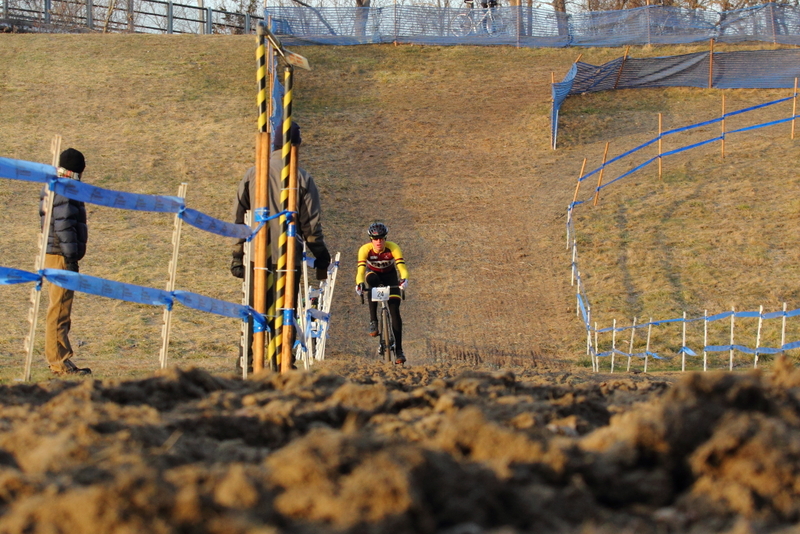 Chance should perform especially well in gnarly conditions that demand excellent bike handling skills. “I’m super happy with how I’ve been riding this season and plan on going out swinging!” he commented. Post Script: check these comments from Ellwood which arrived late today and so are noted below as a Q&A. They reflect course conditions which changed today as about six inches of snow fell in Hartford. Q: How do you think the race is going to go down on Sunday? Ellwood: Sunday’s race will be wild and with all of the snow a very hard race to predict. Curtis is definitely one of the strongest riders, but like we saw last year mistakes can be made causing others to win. Q: Given the strength of the USA men’s U23 field, what will you have to watch out for in the competition (strengths, weaknesses, etc.)? Ellwood: The U23 men’s field is super stacked this year and it’s hard to say who will finish where with how much change there always is and how competitive the entire field is, especially the top guys. Q: What will you have to do to get the better of Curtis, who’s been going really well? Ellwood: To get the better of Curtis I would have to have some of the best legs I have ever had and no mistakes along with Curtis making some mistakes. Curtis is not impossible to beat but it would take something special from anyone who does. I can see Gage Hecht, Spencer Petrov, Cooper Willsey or any of the other top guys possibly rivaling Curtis. Looking forward to the race in these awesome conditions!